Pretty Brown Girl - Empower A Girl, Empower The World! Our mission is to educate girls of color and encourage self-acceptance by cultivating social, emotional and intellectual well-being. Empower a girl, Empower the world! 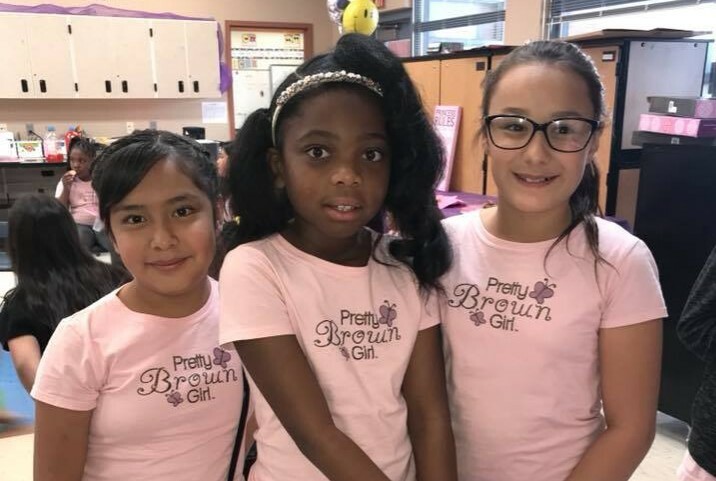 Ranked by NBC News as one of the top seven organizations dedicated to empowering girls of color, Pretty Brown Girl (PBG) is an organization dedicated to educating and empowering girls of color by encouraging self-acceptance while cultivating social, emotional & intellectual well-being. Pretty Brown Girl is one of the fastest growing girls movements in the country, focused on the well-being of girls of color. The belief is that by developing positive self-esteem and confidence while giving the gift of self-love, girls will be inspired to dream their biggest dreams! Subscribe to our monthly E-Newsletters for the latest news and updates! Implement the Pretty Brown Girl D.R.E.A.M. Program within your school, focusing on the social, emotional and intellectual well being of girls of color. Decrease bullying while improving academic achievement and leadership skills with the PBG Program. 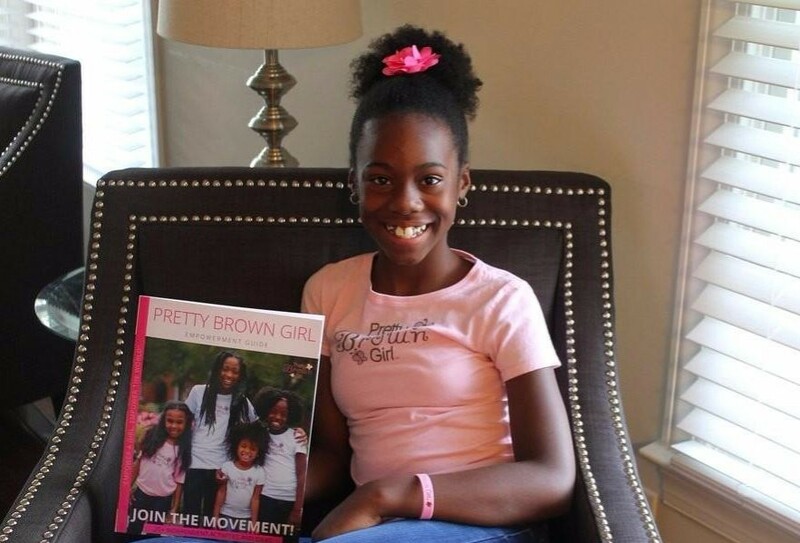 Pretty Brown Girl’s Empowerment Pack is the easiest way for girls to join the PBG Movement! Each pack includes one official PBG Empowerment Handbook (self-guided), one Pink PBG T-Shirt and one PBG wristband. Order yours today! 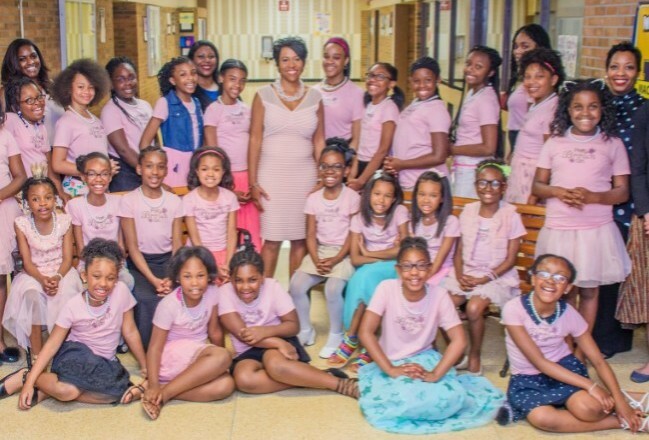 Pretty Brown Girl is committed to inspiring positive self-esteem and self-love among our young women, but we need your help to ensure that we don’t leave any girls behind. 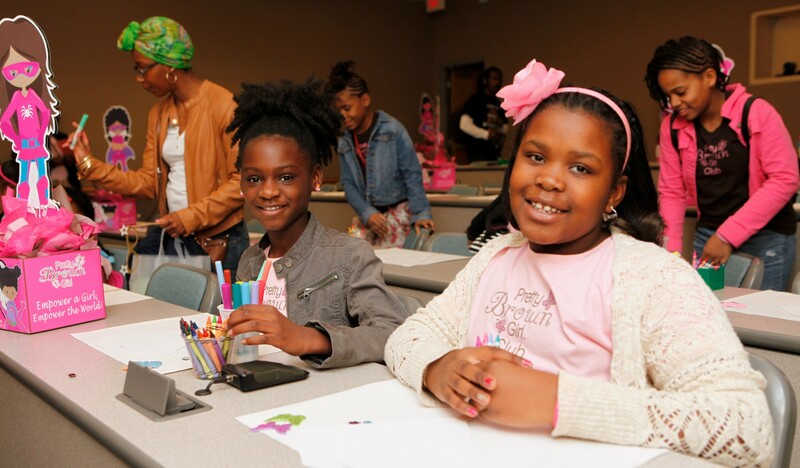 Become a partner with Pretty Brown Girl and help us make a difference! 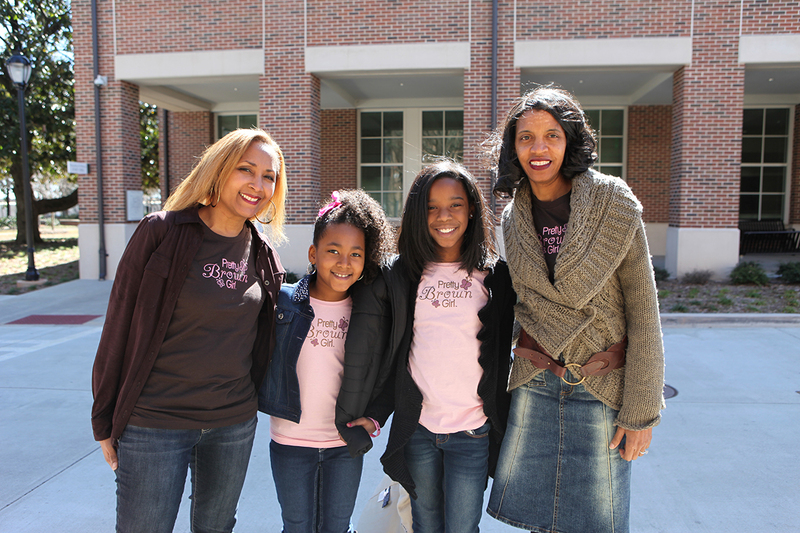 The Pretty Brown Girl Brand has impacted thousands of girls and women across the country. 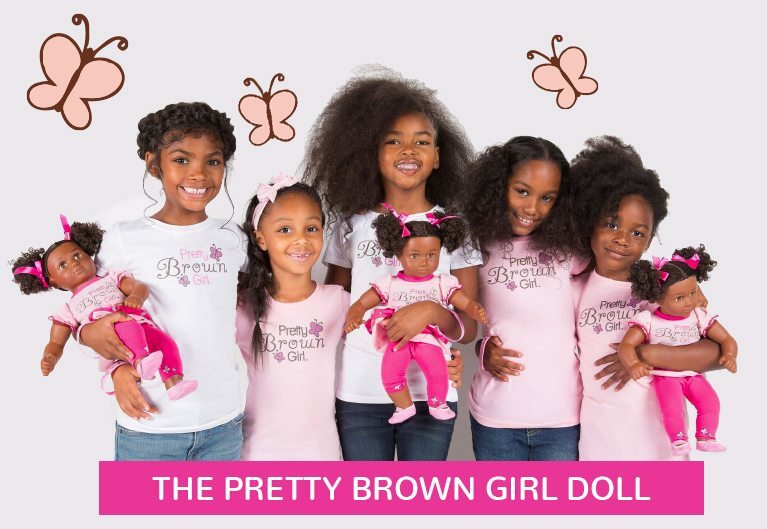 Our empowering products including our signature Pretty Brown Girl Doll, T-Shirts, Bags, Backpacks and Accessories sends a powerful message of self-love and encouragement. Click below to shop online today! Encouraging self-acceptance by cultivating social, emotional and intellectual well-being. Want to receive E-News Updates? All content © Pretty Brown Girl. All Rights Reserved. Terms & Conditions.